At Envirocraft, we constantly strive to improve our customers’ knowledge about all the best recycling and waste management processes. In doing so, we aim to ensure that environmentally sound practice is always achieved by maximising the amount of waste diverted from landfill, recycled or repurposed. In this fight against irresponsible disposal of waste, knowing the recycling waste codes for waste and electronic equipment (WEEE) is essential – see below for more! 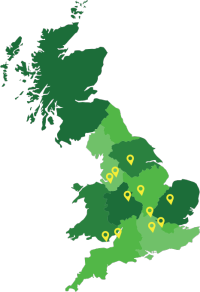 Envirocraft offer a fast, reliable nationwide WEEE collection service across the entirety of the UK and throughout Europe. With our flexible fleets, our dedication to recycling as much waste as possible, and our helpful, professional staff, we make waste collection easy. Get in contact today for more information.